The 4th of July weekend is upon us and we’ve had great fun in the past with stars and stripes cakes and fruit tarts. 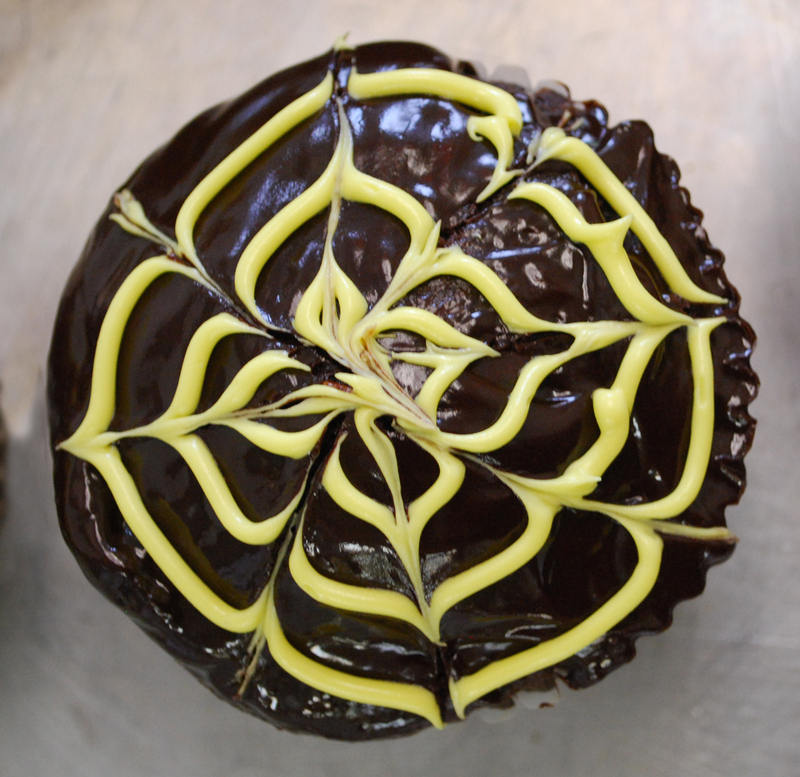 But another great dessert for any occasion is the great American Cupcake! 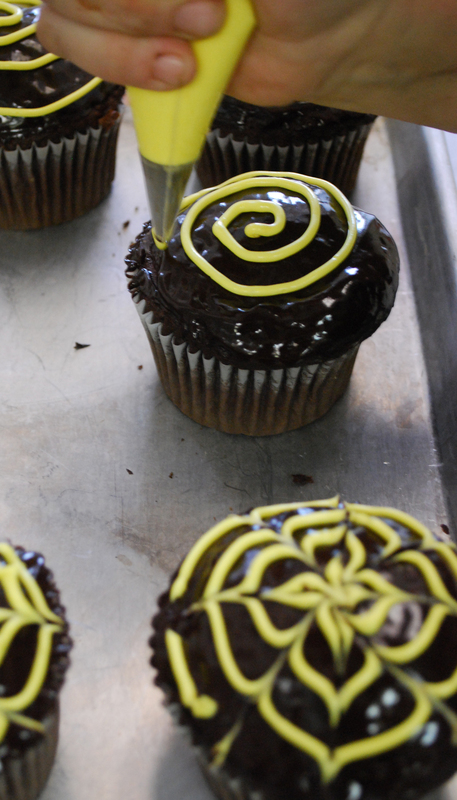 And we are so lucky to have the ever-popular cupcakes that Melinda whips up on a daily basis here at Bistro-to-Go! 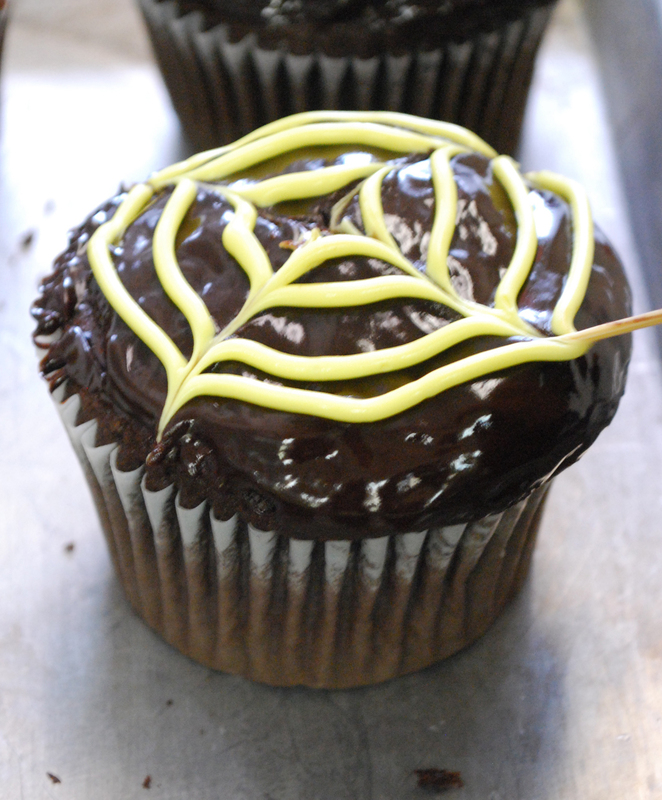 This new variety is a chocolate cupcake and features a whipped chocolate ganache filling with chocolate buttercream frosting. If you’re looking to serve them to your guests this weekend, call soon as they go fast! Also available are her yummy lemon coconut cupcakes with lemon curd filling, carrot cupcakes with cream cheese frosting and her version of the old Hostess classic with whipped marshmallow filling. I thought it would be fun to share a couple of snaps of how she makes the design on top – perfect for Halloween actually!